Born in 1962, Pascal Rambert is one of the most prominent modern French stage directors and playwrights. 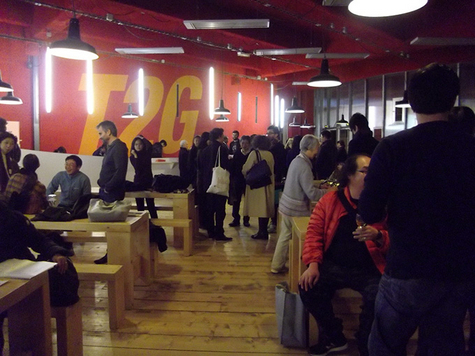 Based on his personal relationship of trust with Japanese playwright Oriza Hirata, Théâtre de Gennevilliers (T2G), where Rambert served as director from 2007 through the end of 2016, realized numerous joint projects with Komaba Agora Theater, and has become one of the major hubs of contemporary theatrical exchange between Japan and France. Since 2003, Rambert has regularly visited Japan to present his original works and to direct their Japanese language versions at Komaba Agora Theater and other theatrical venues. Parallel to these activities, he has invited numerous productions of contemporary Japanese playwrights such as Oriza Hirata, Toshiki Okada, and Yudai Kamisato to T2G. In January 2017, when Rambert visited Japan for the re-staging of Clôture de l'amour (Love's End) and to participate in Theater Commons Tokyo, a project organized by Arts Commons Tokyo, he gave an interview about his relationship with Japan that spans a period of nearly 15 years. Rambert's first encounter with Japan was in 2003, when he stayed at Villa Kujoyama, a residence facility for artists owned by the Ministry of Foreign Affairs of France in Kyoto, on the strong recommendation of Claude Régy (one of France's preeminent theater directors, born in 1923). During his stay in Kyoto, Rambert had the opportunity to see magnificent Noh productions, and felt that they shared the aesthetic outlook of Régy, so he urged Régy to visit Japan. Later, Régy was invited to Japan by theater director Satoshi Miyagi, and directed his play Intérieur at Shizuoka Performing Arts Center (SPAC). After establishing working relations with the theatrical world of Japan, Rambert also engaged in projects in numerous other Asian countries and regions, including China, Taiwan, and Thailand. When Robert Lacombe, former director of Institut franco-japonais (current Institut français du Japon - Tokyo) and a stage art producer, took over the position of director of Institut français de Chine, the theatrical exchange between France and China flourished, and Rambert launched multiple projects in China. Rambert's popularity is not limited to Asia, as he is busy traveling all over the world, but for him Japan remains a special country. One of his most lasting and treasured memories is the performance of his work A (micro) history of world economics, danced in Saitama, Shizuoka, and Miyazaki. Rambert was very surprised by the fact that although it was presented in Japanese and co-directed with Japanese directors, the play was almost the same as the French original. The Miyazaki performance even featured disabled performers who use wheelchairs. Their participation further enhanced the appeal of the play, and later when he staged it at various locations around the world, the experience in Miyazaki became a good example that encouraged him to take on performers with disabilities. This and other wonderful encounters made the end of his Japanese tour a sad and tearful experience for Rambert. Having already seen Oriza Hirata's play Tokyo Notes (2000) directed by Frédéric Fisbach in Paris, Rambert knew about Hirata and his work even before coming to Japan, but initially was hesitant to contact him as Hirata had already been working in concert with Fisbach. When Rambert applied for the position of director of T2G, he proposed, if appointed, to stage works by Oriza Hirata at the theater. This marked the beginning of the exchange between the two theatrical institutions. It was based on an almost unconditional respect for Hirata as a playwright. Upon his visit to Japan, when Rambert went directly from the airport to the theater to see Tokyo Notes, despite the jet lag he was deeply impressed by everything he saw, including Komaba Agora Theater, which Hirata had inherited from his father, and by the story that masterfully depicted the subtleties of emotion. Despite the pronounced difference between the sensitivity and aesthetics of the two artists, or perhaps precisely because of it, a feeling of trust and respect was born between them. During Rambert's ten-year tenure as director, T2G staged a large number of Rambert's works, and at the same time invited productions of globally-recognized artists, such as Romeo Castellucci, Jan Fabre, Joël Pommerat, Gisèle Vienne, and Richard Maxwell. (According to Rambert, he personally selected all invited artists after watching their works.) The majority of the works invited from Japan were also presented at Festival d'Automne à Paris, a large-scale stage art and music festival held in Paris every year from September through December. This is a testimony to the high recognition of these works by the festival connoisseurs. In most cases it is the organizers of Festival d'Automne who approach theaters about prospective plays to be staged at the festival, but in the case of Rambert, he worked with Artistic Director Marie Collin to come up with specific projects, presented proposals, and thus realized performances of works invited from Japan. 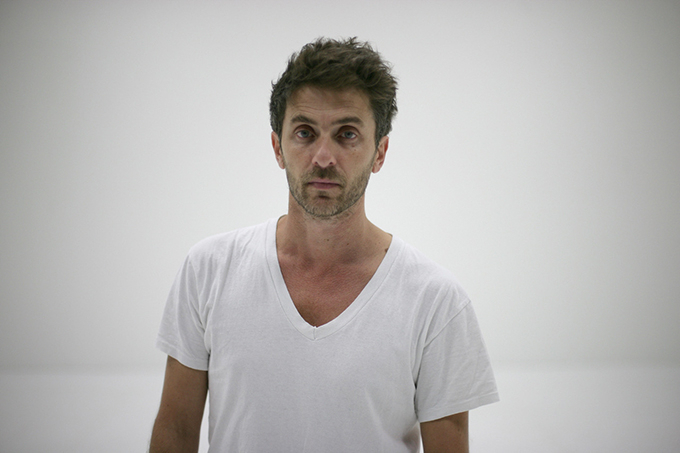 The new director of T2G who took over from Rambert is Daniel Jeanneteau, a leading expert on Japan in French theatrical circles, who has forged deep connections with Japan. This must be more than just a coincidence, and raises hopes that the heritage of cultural exchanges built by Rambert will be passed on to the next generation in a different format. *This interview was realized with the kind cooperation of Ms. Sachiko Sawai-Nishio, who is a former staff member of the Japan Foundation and in charge of international coordination for Komaba Agora Theater. We would like to express our sincere appreciation for her help. Southeast Asian Tour of Tokyo Notes written and directed by Oriza Hirata (Bangkok, Kuala Lumpur, and Jakarta, June-July 2006), and Tokyo Notes and The Yalta Conference performances at T2G (September 2009). 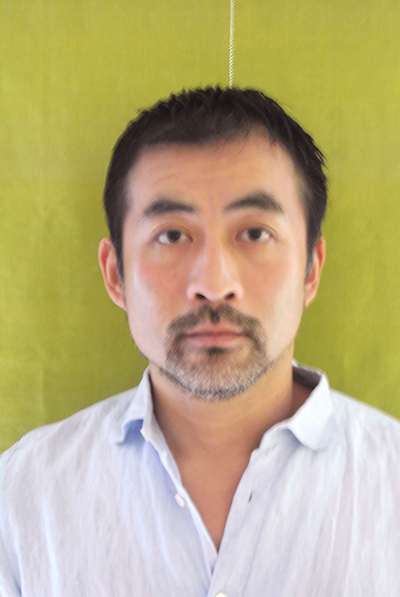 Shintaro Fujii is a professor in theatre studies and cultural policy studies at the Faculty of Letters, Arts and Sciences of Waseda University. He has served as the Supervising editor of Posuto-dorama jidai no Sozoryoku [Creativity in the Postdramatic Age] (Hakusuisha Publishing, 2014), co-translator of Engekigaku no Kyokasho [Textbook in Theatre Studies] (Kokushokankokai, 2009), co-editor of Engekigaku no Kiwazu [Key Words in Theatre Studies] (Perikansha Publishing, 2007), and translator of the play Incendies (Scorched) by Wajdi Mouawad performed at Theatre Tram in 2014/2017.